New York Festivals World's Best Radio Programs competition announced the appointment of Phil Critchlow, Founding Director of TBI Media, UK and Valerie Geller, President of Geller Media, USA to the New York Festivals International Radio Program Awards Advisory Board and Grand Jury. "These two thought leaders each bring creative expertise and deep knowledge of today's radio industry," said Rose Anderson, Executive Director, NYF Radio Program Awards. "Phil Critchlow and Valerie Geller will add tremendous vision and valuable insights as we engage the world-wide radio community and are responsive to what matters to them." "We've been lucky enough to win a number of New York Festivals awards at TBI which always mean a great deal to the team, so I'm delighted to become part of the NYF Advisory Board," said Phil Critchlow. NYF Radio Program Award Advisory Board member Phil Critchlow supervises TBI's diverse output covering music, drama, comedy, sport, and history. 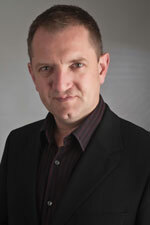 Originally trained by the BBC, Critchlow joined Unique Broadcasting in 1994 rising to 'Director of Programmes' before launching The Big Idea in 2006. Since its inception, TBI Media has earned over 50 awards in the UK and internationally for Radio and Television and produces many hundreds of programmes each year for the BBC and commercial broadcasters, as well as digital content and events for major brands in and out of the UK. Critchlow has also served as Chair of The UK Radio Independents Group (RIG) and is a Fellow of the Radio Academy. As President of Media International, Valerie Geller is an international content and story consultant, trainer and seminar leader. She has trained radio, TV and internet broadcasters in 35 countries and 500 international radio and television stations, coaching air personalities, programmers, producers and broadcast news journalists to become more powerful communicators. A former program director (WABC, New York) and News Director (K101, San Francisco), Ms. Geller received the Conclave's highest honour for broadcasting, The Rockwell Lifetime Achievement Award. She was also named by Radio Ink Magazine - one of the 50 Most Powerful Women in Radio. 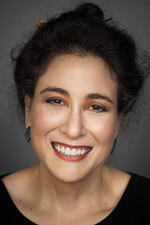 Her books have been translated into several languages and are taught in colleges and universities throughout the world. "It is stunning and so satisfying on every level to have the opportunity and honour to have the chance to hear the amazing work news, documentary and program teams throughout the world are producing and creating," said Valerie Geller. "It is an honour and a pleasure to serve as a judge for the NYF awards entries, and to help in any way that I can." New York Festivals Radio Awards enlists some of the most recognisable voices and captivating programming producers in the industry from all over the world to become members of the Grand Jury. The deadline for entering the 2015 World's Best Radio Programs competition is March 19, 2015. For additional competition information visit: HERE and to enter, visit: HERE. The 2015 competition will honour the World's Best Radio Programs on Monday, June 22nd at an awards ceremony at Manhattan Penthouse in New York City.